Make your thin section processing lab more mobile with this unit that requires no water hookups for cooling. 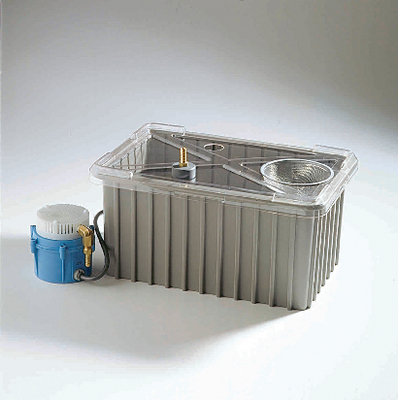 The easy-to-maintain, five-gallon reservoir tank is removable for cleaning, and the cutoff valve prevents spilling when disconnected from pump. The quiet, dependable motor pumps 325 gallons per hour at 1' rise. Required for all thin section saws/grinders sold by WARD’S. Size: 19"L x 19"W x 15"H. 120 VAC, 60 Hz. Weight: 33 lbs.